Near Lock, one of the coolest iPhone apps in the App Store, has just updated their iOS app with full Siri Shortcuts support. For the uninitiated, Near Lock lets you automatically lock/unlock your Mac when you're near your computer without even touching it. 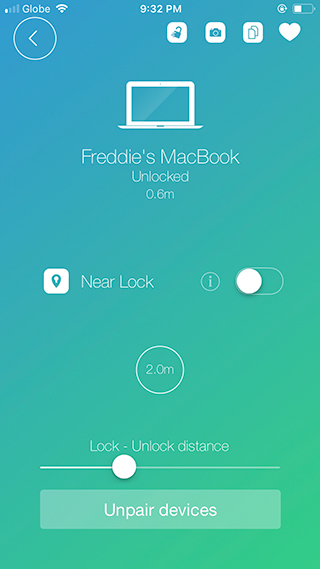 It uses proximity sensor to detect your iPhone's distance and automatically lock your computer if you're away. Once you're near your workplace, Near Lock automatically unlocks your Mac. 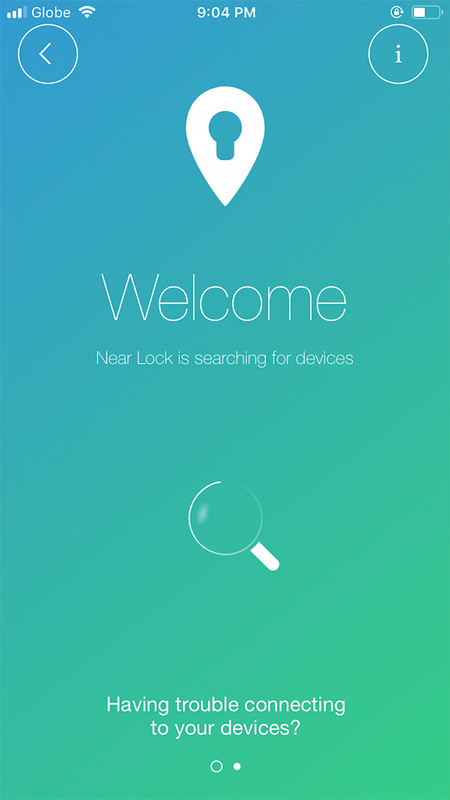 Near Lock is really one powerful app that saves you time while keeping all prying eyes at bay, whether at home or at your workplace. You don't have to touch your machine to lock your computer for a quick break or type your password to log back in to your computer. Now, an even more powerful Near Lock is here with full integration to Shortcuts, a Siri feature introduced last year. But why bother asking Siri “Lock my Mac” or “Unlock my Computer” when iPhone can automatically lock/unlock your computer when you're near? Isn't it a counterproductive to automation action we expect? Well, the shortest answer is: Near Lock sometimes miscalculates your iPhone's distance to your Mac. It cannot sometimes automatically unlocks your Mac even if your iPhone sits just beside your computer. And it randomly locks your Mac while you're in the middle of something even if your phone remained just beside your Mac. The unreliability of Near Lock's proximity sensor-based locking/unlocking makes Shortcuts integration a welcome addition to its feature packs. By simply asking Siri “Lock my Mac” or “Unlock my Mac”, that's already a nifty productivity hack. Download and install Near Lock on your iPhone. Download and install its Mac App. This tiny app simply works as a connector between your iPhone and Mac. 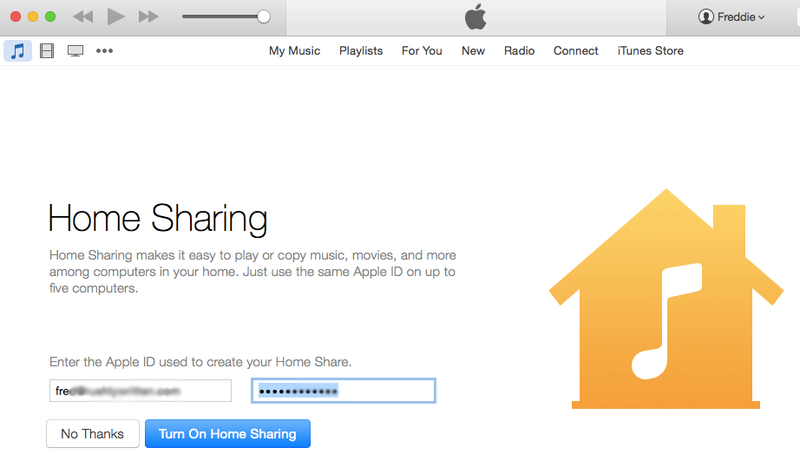 Turn on your Mac's bluetooth and launch Near Lock on your Mac for pairing (you only need to do this once). Turn on iPhone's bluetooth and open Near Lock on your iPhone. It should instantly scans your computer to pair. 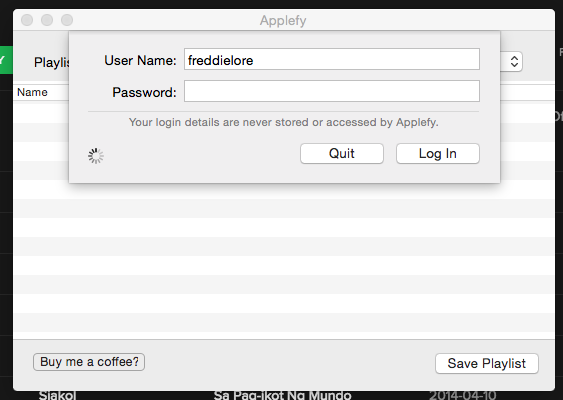 Once your Mac is found, it prompts you to enter your Mac's password. This is a one-time setup too. Now that your Mac and iPhone are successfully paired, click on that tiny Mac icon. It should bring you this. Remember Near Lock's proximity-based auto locking/unlocking unreliability so we will not use that. Leave that un-toggled/disabled as seen above. On your iPhone, go to Settings > Near Lock > Siri & Search > Shortcuts and define your own Near Lock shortcuts or you can pre-made shortcuts to lock / unlock your Mac. ﻿﻿﻿﻿﻿Recently on this blog we have talked about Software Data Cable, a truly nifty Android application that makes transferring of large files between wireless devices less of a hassle. Software Data Cable uses existing WiFi network to move and download files from PC to Android phone (and vice versa). Software Data Cable is a must-have app for the Android! If you haven't checked it out yet, click here. If you're wondering about how to do almost the same with your iPhone and Mac, well, then, good news! 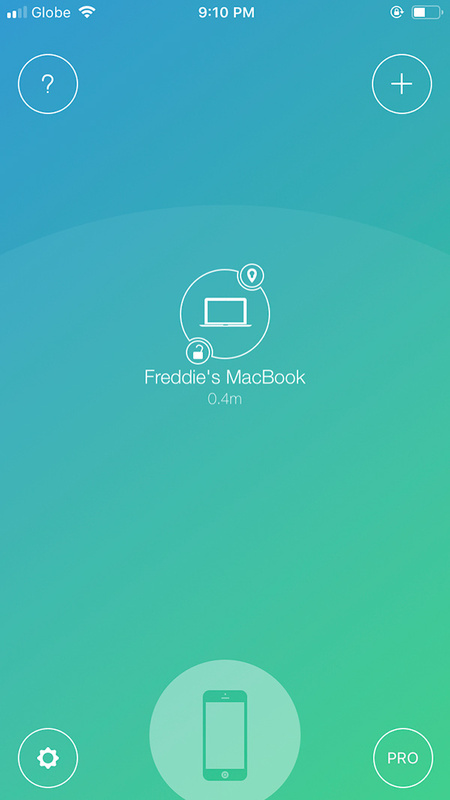 Deliver for Mac and iOS comes to your rescue when transferring large files over the air. Deliver for Mac and iOS exactly does what the title goes—it delivers files from one Mac or iDevice to another over wireless network. Deliver requires no pesky clicking and configurations and it is extremely fast and easy. All you have to do is download, install, and launch the app on your local network and you're good to go. Step 1 Download and install Deliver for iPhone, iPod and iPad HERE. For Mac, get it HERE. Step 2 Launch the app. It should bring down a quick introduction on how to use it. But here's the gist: tap or click on a little bubble icon. 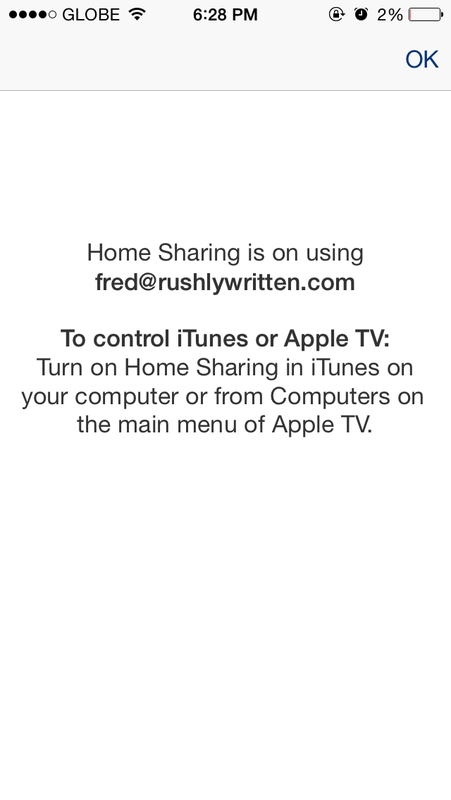 Note: you also need to launch Deliver on your Mac or any iDevice you wish to send your files to. Step 3 Clicking on that bubble icon should bring up a list of other devices connected to the same network running Deliver. Just choose the one you want to send a file to and then click or tap the plus button. Note: don't click the text button (looks like a rectangle with three lines), it's for sending a text message. Step 4 From the list of available iDevices, just choose what you want and then Deliver will transport your file in an instant. You'll be surprised by how fast your large-sized files make it from your iPhone to your laptop. 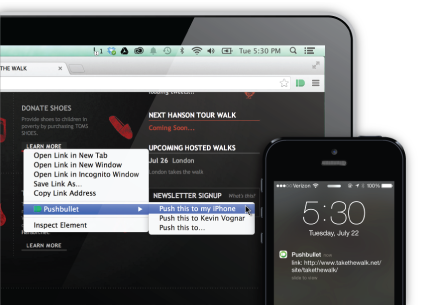 Deliver for Mac and iOS is definitely a must-have app you should install. But just as nobody is saint to give anything useful for free with no flaws, you may also experience frequent crashes on your Mac. 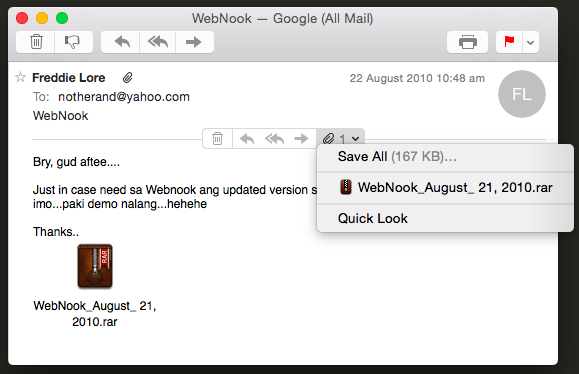 Deliver for Mac is a little buggy and the interface definitely needs a face-lift. The iOS version, on the other hand, works perfectly so hopefully the Mac version will catch up soon. 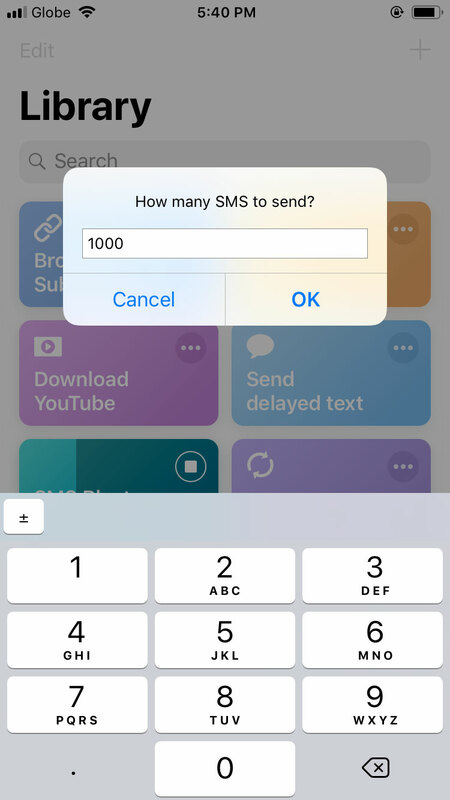 If for some reason you want to restore that crucially important text message on iPhone that was deleted by accident or maybe you've bricked your phone and wanted to recover those important text messages, chances are you'll immediately hop back to your computer and look for backups to restore. But what if you don't always have a scheduled backup and you desperately need to retrieve that lost text message? Fret not! 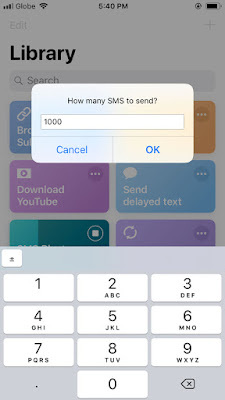 As dodgy as it may sound, you can fully recover deleted text messages on iPhone even if you don't have a backup. And best of all, you don't have to spend a penny to restore those deleted precious text message data. When you permanently delete a message on your iPhone, you're not actually deleting the data itself. 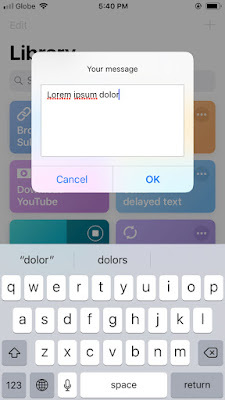 What iOS' Message app does is it only removes the indexing file. So you can imagine your actual SMS data still sits inside your iPhone's internal memory and can be fully restored even if that message is deleted. Everyone, meet iPhone Message Recovery. 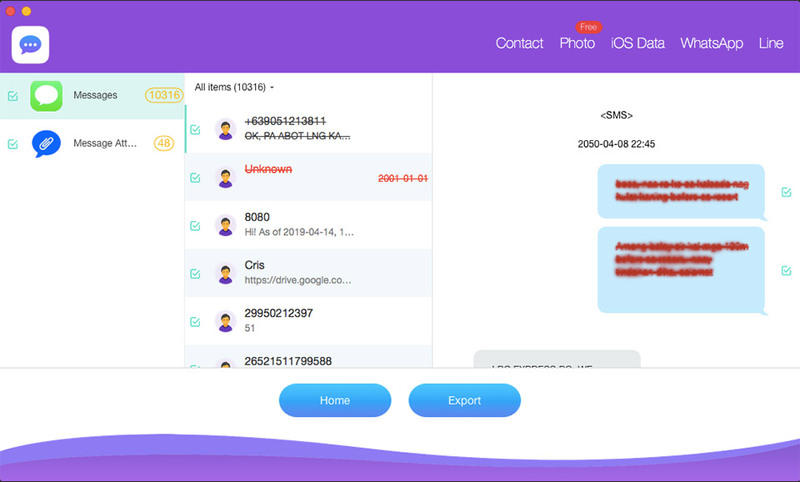 It's a tiny piece of app currently available for Mac that lets you recover accidentally deleted text messages on iPhone at no cost. I was told Windows version is in the works, so maybe a little wait is required for Windows users. I nearly had to shun and skip this tool thinking maybe this is yet another garbage app that secretly installs malware instead of delivering the promised iPhone text message recovery as advertised. But the entire install file is just below 15MB so me being too skeptical had to give it a go. To my surprise, iPhone Message Recovery actually works like a charm! After just a few scans, the app was able to recover my deleted text message and lets me preview those deleted text messages! Sweet. 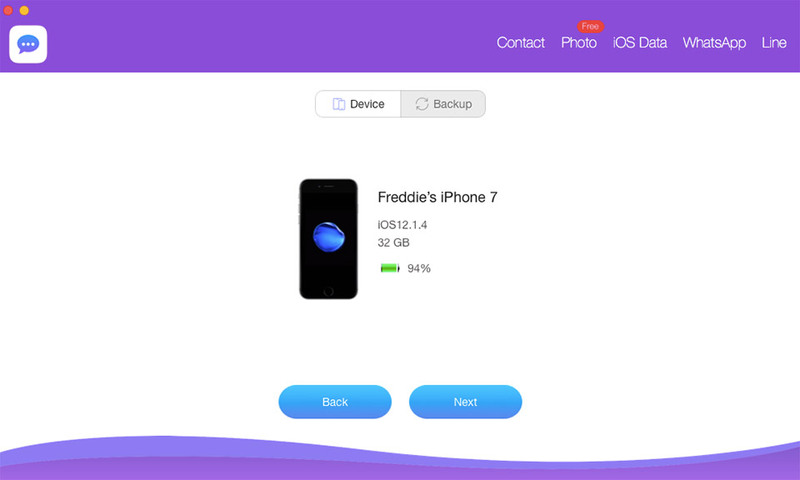 Download and install iPhone Message Recovery for Mac (14.6MB). It's FREE, no sign-ups needed. There are two sources for text message data recovery: Device or Backup. Be sure you're selecting Device mode. Click Next, it should immediately start the scan. 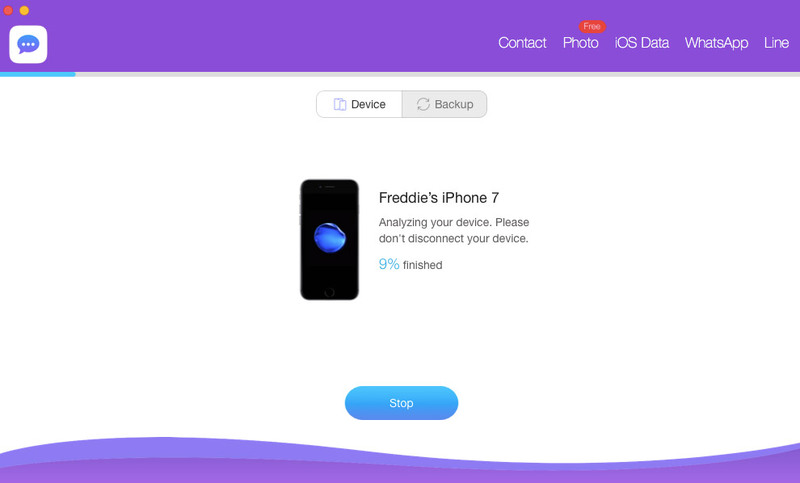 Analyzing your iPhone data can take a while, so wait for a few mins and do not disconnect your iPhone. You'll notice that two striked-through items being the deleted text messages. And see how I can easily preview them even if they're deleted inside my iPhone. 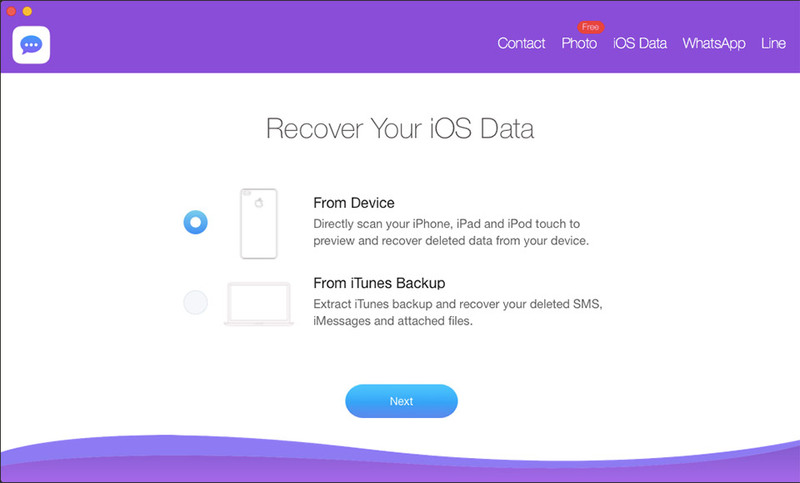 iPhone Message Recovery is not your typical dodgy data recovery app you've come to know from other data recovery apps. 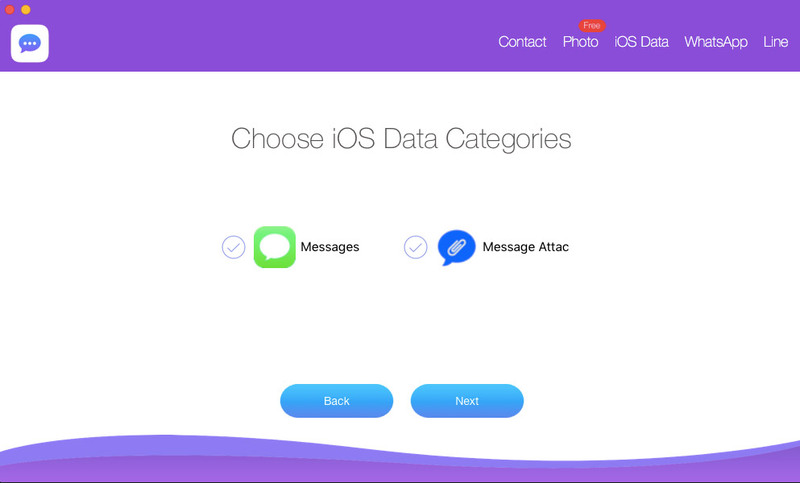 It's a fully functional data recovery app for iPhone that brilliantly recovers lost text messages data and even recover iMessage's photos and videos attachments in one go. If you're a traveler who wants to stay productive while on-the-go or you're a digital nomad who loves to mix leisure and work, chances are you'll need a decent power bank for your laptop more than you'd imagine. An extra power bank that can charge your Mac or laptop ensures you have extra battery juices you can turn to when you needed to do last minute work while your laptop's battery is dead empty. A portable power bank that fully supports your Mac or Windows laptop is especially useful if you're in the most remote part of the country where rotational brownouts are expected. In this article, we will show you top-of-the-line power banks for your Mac or Windows computer that guarantee to give you those extra hours without hurting your wallet. We specially hand-picked below's list with charging speed/time, safety, and capacity as criteria. 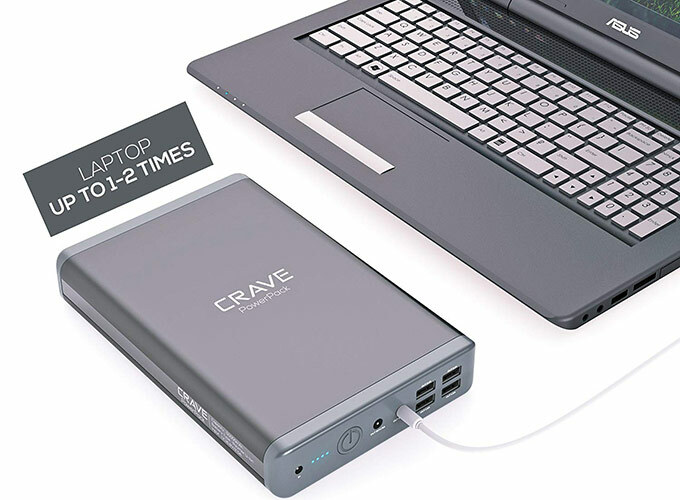 Topping from this list is this 50,000mAh backup power bank from Crave PowerPack. Crave PowerPack CRVPP101 is your compact, high-density travel companion guaranteed to fully charge your devices anywhere you go. This power bank has two laptop power supply ports and universal compatibility with virtually any mobile devices. Powerstation AC is another strong contender under this category. 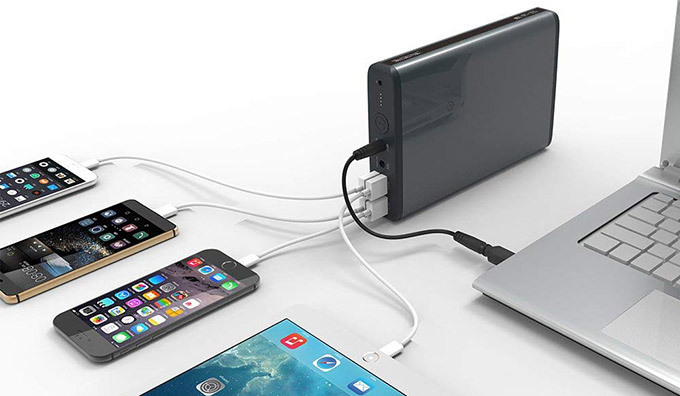 This quick-charging emergency power bank offers you a legit AC port that gives your notebook or Mac a safe 100W power (110V) and a USB-C charging port that provides 30W power. Although not as big as Crave PowerPack's 50,000mAh, Mophie Powerstation AC should be enough to give your laptop additional 15+ hours emergency battery. Omnicharge's 20,400mAh power bank is another easy favorite amongst travelers and digital nomads, and it's easy to see why. This emergency power bank is well-equipped with fast-charging USB ports and a 100W AC outlet that can power your MacBook Pro, MacBook Air, Microsoft Surface Pro 3/4, Lenovo, Dell, HP Laptops, DSLR cameras, and even DJI drone's battery. MAXOAK's 50,000mAh power bank is your compact and lightweight external battery pack ideally recommended for Windows-based laptop. This power bank has a total of 6 charging ports: one 20V/5A for laptops, one 12V/2.5A for digital cameras, two 5V/2.1A, and two USB 5V/1A for iPhones, tablets. MAXOAK has a wide laptop compatibility support which includes Dell, HP, Lenovo, Microsoft Surface Pro, Sony, Samsung, Acer, and Toshiba. Jackery PowerBar 23200mAh external battery pack delivers 85W of power via AC outlet and a few powerful outputs including Quick Charge 3.0, USB C, and 5V/2.4A, making it an indispensable travel companion. 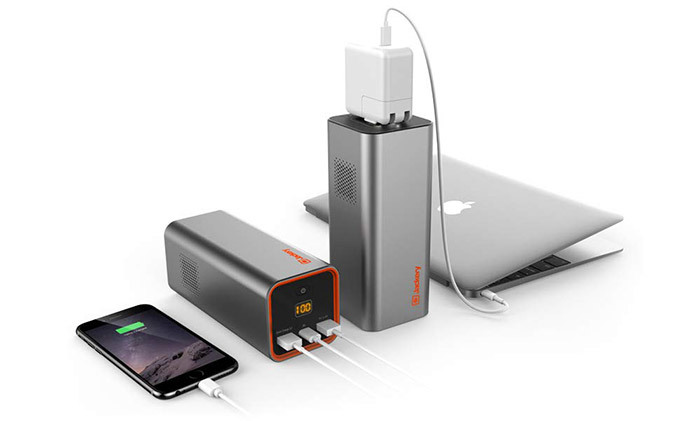 This power bank can charge your 15.4" MacBook Pro and other 15'' laptops, GoPros and other hand-held devices. There you have it! So next time you embark on another beach pilgrimage or go in an adventure, be sure to bring one of these power banks for your laptop! For the uninitiated, Recordit Fast Screencasts is a Mac-only piece of software recently launched that lets you create video screencasts FAST. This app works similarly to Jing; you decide what particular area of your screen you want to screen-capture, hit the record button, then wait for a few seconds for the app to upload & generate a unique link for the screencast. If you have a Mac, go check out Recordit. What makes Recordit unique is the nifty GIF support, which is kind of envy to all Windows users out there considering that there's not much good screencasting apps available for Windows with decent GIF support. But fret not, I got you here a decent (even better) alternative to Recordit that works well on any Mac and Windows computer. LICEcap is FREE and fully functional GIF creation tool both for Windows and Mac that allows you to capture an area of your computer and store it as a high quality GIF. LICEcap is very lightweight and there's no extra fuss to get started. Just grab and install the app, and you're good to go. Why use GIF when there's a video? The problem with most video screencasting software today is that the size of video or flash file it generates is too large that you can't quickly embed it on a web page nor share it to your co-workers or employer. With GIF as an output format, the size is too minimal, thus saving you time. Have you ever thought of watching videos on your iPhone or iPad without the hassle of connecting iTunes and waiting for the movie conversion to finish? Well, we actually feels too restricted with how the big Apple does it. 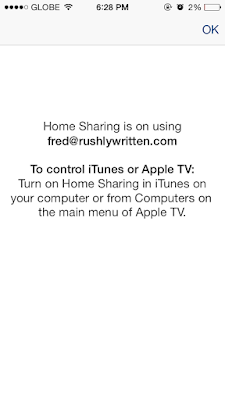 Thankfully, an app lets you watch movies or clips straight from your PC/Mac without the wire. It's called AirVideo available at the App Store. For those who haven't welcomed this idea. Imagine yourself holding an iPad, iPod Touch, or iPhone while watching movies at the comfort of your own bed... or at the coffee shop or the airport? Any where with a WiFi would do, without the storage restriction that your iOS device is very limited of allocating all your movie collection. To start using this app, you also need to download the AirVideo server for your computer. Once installed, you could add folder destinations of where your movie collection. Just make sure that all computers and the iPad are connected to one network. On Mac's Menu Bar, an icon for AirVideo is being shown. Click on Preferences to access more options. Under Preferences, the user may add Shared Folders as the designated folders you want to view on the iPad. After finishing the set-up with our computer, we may see it here that the files we chose to be shared can now be seen on the iPad. The options can either be expandable or collapsible for a better view. To view the full-screen, just do the finger gesture to create such an option. The app may look simple as it seems to be, but it's quite powerful if you can toggle some choices under the Settings. It can view Subtitles or even do a conversion and add to iTunes. The AirVideo app can be downloaded for FREE or bought for $2.99. The value is amazing for an app such as this! Ever wondered how your website looks in an iPhone or iPad? Do you want to know whether your blog renders properly in a handheld device or not? 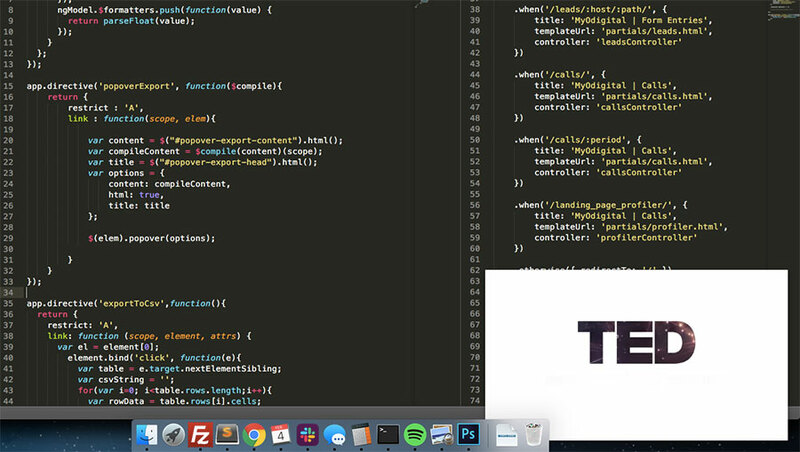 This short tutorial will introduce you to another useful tool that lets you test-run or preview your website in an iPhone or iPad from your Windows/Mac computer. 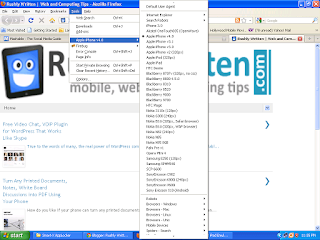 User Agent Switcher Add-On is a browser extension that lets you switch the user agent of a browser. Put simply, you’ll be able to view the iPhone, iPad or mobile version of any website in just a click. The extension is currently available for Firefox and will run on any platform that this browser supports including Windows, Mac OS X and Linux. 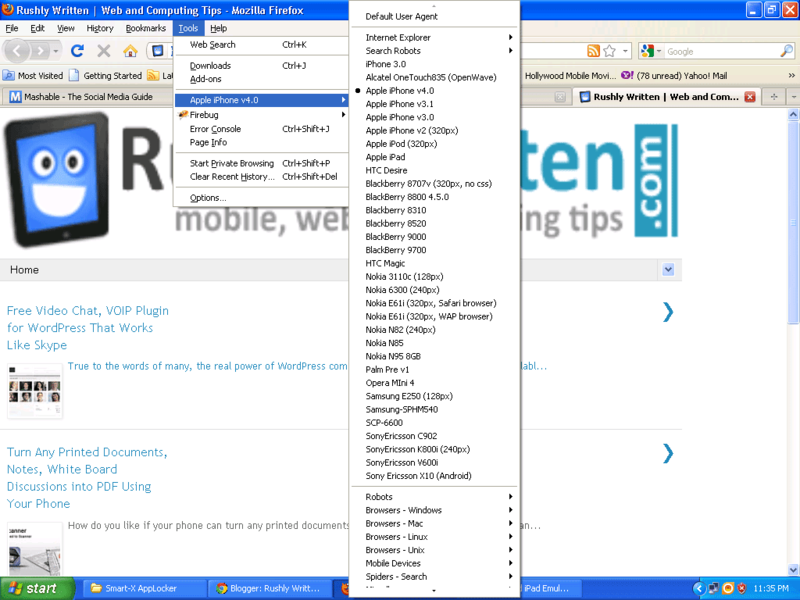 Download and install the user agent switcher add-on for Firefox. You may need to restart your Firefox for the changes to take effect. These are XML documents which will let you change user agent in Firefox to the user agent of an iPhone, iPad, BlackBerry, Nokia, Samsung and other popular mobile phones. After you’ve downloaded the XML files, go to Tools > Default user agents and click on “Edit user agents”. A small window should popup where you can see an “Import” button. Now click on that button and import the XML list of user agents you just downloaded. Once you have imported the lists, you’re now ready to test and preview your website in an iPad, iPhone, Android, BlackBerry, Nokia and other mobile operating systems. To start, just select the default user agent and select the device where you want to preview your site’s design, and reload the page. 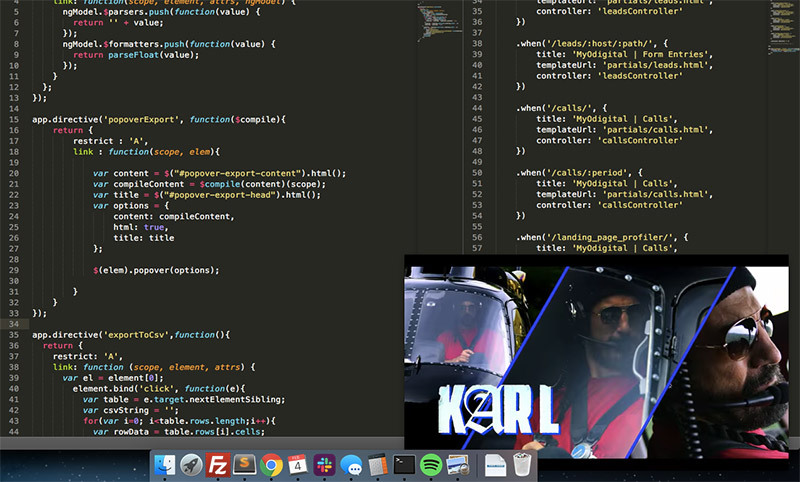 Update: ScreenFly is an excellent emulator too. No more pesky-clicking involved. Almost everyone knows how Google Docs works and how multiple users can work on either single or multiple documents at the same time. Now, wouldn’t you want that same capability on other applications? However, you know that is not going happen. How would you react if you found out that a brilliant group of programmers has created a screen share application wherein two users can work on a single application such as Excel or Photoshop? Amazing, right? This is the essence of PowWow. It is a very simple application that allows two users to work on an application at the same time, taking turns with their own mouse pointer. The design is for complete collaboration and not just screen broadcasting like that from Google Docs. PowWow has been proven for such tasks as sharing Google Chrome to write an e-mail together, sharing a Photoshop task, sharing web-coding reviews between two web developers, or sharing paired programmer tasks. In short, PowWow feels as if you are working with someone just sitting beside you, even if the other user is a continent away. So far, most applications can be used on PowWow. For the present, PowWow is a beta available only for Mac. A version for Windows will be available very soon. For now, the official site is requesting people to sign up for an e-mail listing so they can be informed later when the Windows version will be out. Because the Mac version of PowWow is still in Beta, the official site is giving caution to users should anything unusual or unpredictable happens, and to inform the makers by emailing them. 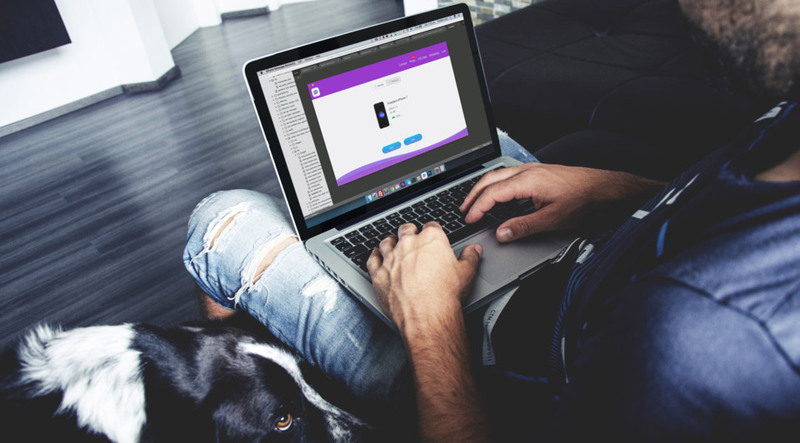 Previously on this blog we have talked about Connectify, a tiny piece of app that turns your laptop into a wireless hotspot so you can quickly share your internet connection without having to spend hours of frustration doing it via Ad-Hoc. Connectify is great, but only if you're willing to toss $40 for the lifetime Pro version that unlocks a plethora of features which of course you don't need all. While there's a Connectify Lite version, I find it too limited especially the latest version. And that's not only my opinion. Now if you want a decent and FREE alternative to Connectify to share your LAN, 3G/4G internet connection, then, you might you want to check out mHotspot. mHotspot is a 100% free software which converts your Windows-based computer into a functional and secure Wifi Hotspot. If you have DSL or 3G/4G broadband at home, you can quickly share that to other wireless devices. Absolutely no router or additional external hardware required. mHostpot, the best Connectify alterntive as yet, has already amassed over 2 million downloads to date. Go check out mHotspot. Previously on this blog we have talked about YouWave, a high performance Android emulator that makes it easier to run Android on your PC. If you haven't had a chance to check it out, head over HERE. 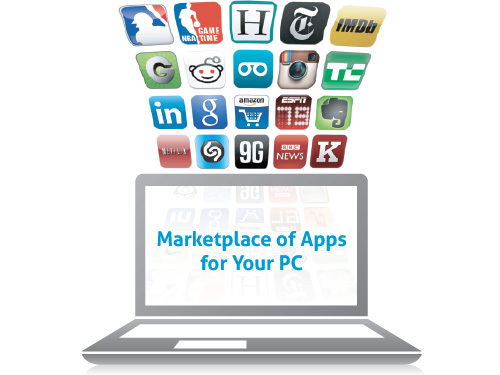 Modern technology has brought computer desktop applications to be used on smartphones and iPhones. 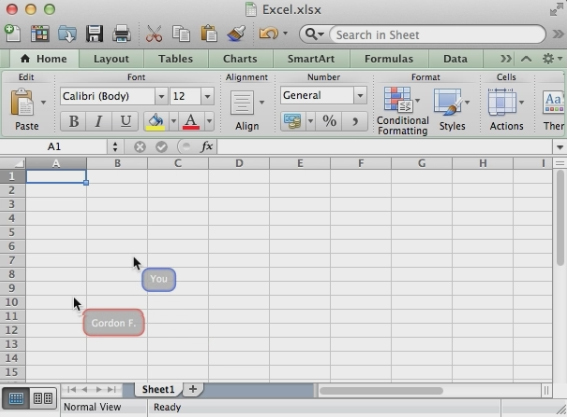 However, what if there are phone applications that you want to use on your desktop? Introducing Cubiez, the apps that brings your favorite phone apps on your desktop. All the apps on your mobile phone that you love or need to use can now be accessed on any desktop or laptop. As of date, Cubiez is a free app download, though only the first lucky few who download can avail of the exclusive Alpha version. Cubiez allows your phone apps to be made available at the bottom of the taskbar screen so they are always accessible. Should there be any new content for your phone apps, instant notification will alert you. The platform is also non-intrusive because you never have to leave what you are doing just to check for updates. Cubiez is very simple to use. All you need to do is to download the free app and then install. A marketplace will appear on the taskbar, the purpose is to choose the phone apps that you like. In one click, installation can be completed and everything will show up on your taskbar. Now, all you need is to do is log into your favorite apps. The mobile apps on your desktop are even made to like, well, like mobile apps, the way you see them on your mobile phone. 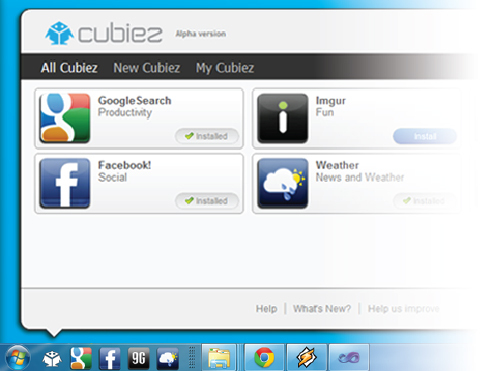 Cubiez is available only for Windows. However, the developers will soon come out with versions for Mac and Linux. As a non-US citizen, I also have a fair share of frustration with Pandora. And while Spotify is available with greater country support than Pandora, still I live in country where neither of the two streaming services was ever supported. So there's no way for me to enjoy really good music like that of Pandora and Spotify. Luckily, there are few good online music streaming services that offer almost the same feature sets at no cost. And here we're going to share a short list of top 5 FREE online radio services that we think are the best. Below is a quick rundown of top 5 best Pandora and Spotify alternatives that will sure quench your music thirst. The number 8 is the minimum number of tracks you must add to create your own mix. You can either create one of your own taste, or browse through the playlists others created, I’m pretty sure there’s one just right for you, if not, you can always create your own. 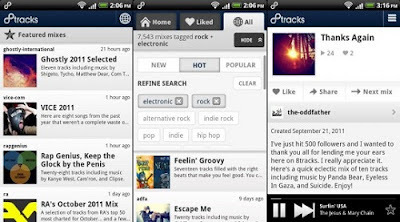 With their mobile app for android and iPhone, you’ll never be separated from your music. The stream also plays uninterrupted, so it will play just like a radio would. Grooveshark has a good amount of song library for you too choose from and also features releases from rising bands. When you find new songs that you like and would like to share to a loved one or a friend, you can easily do so because of its excellent social media integration like Twitter and Facebook. When someone hears the word “indie” in band or song, there’s a stereotype that it’s mediocre. Think again. With We Are Hunted, you’ll be able to discover new emerging bands and also see what other people say about the song. You can also share your newfound favorites on Facebook and Twitter. Google Music offers services with the likes of iTunes store and Amazon mp3. Google Music also allows you to purchase music with an extra feature of uploading your purchased mp3s up to 20,000 songs from your home drive and listening to it on your android mobile and on another Mac or PC via web. 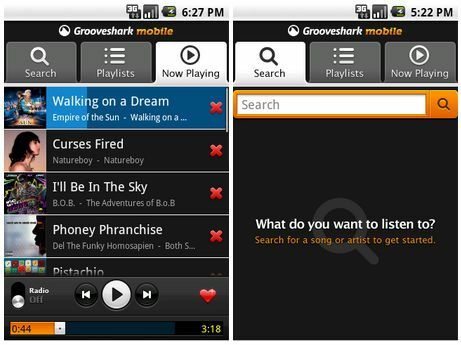 It also gives recommendation of songs based on your frequently listened tracks. It also features instant mix, like Genius mix on your iTunes. exfm is a music library with a twist of social media. 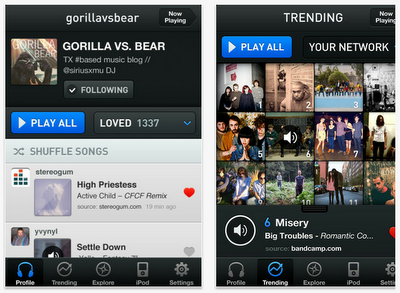 If other social networks allows you to discover and rediscover friend, exfm allows you to discover and rediscover music. One of the features I love most is the TasteMaker. There are times that you just can't decide what song to listen to. 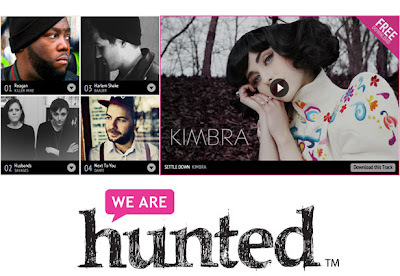 With the help of TasteMaker, it presents you a pool of selection by people with great taste for music. There you go. These are just some of the services out there. Take your pick and choose what's best for you. Griffith Boniel is a photographer, Nikon user, and a Nokia fan who's also passionate about social media, mobile and web technology. You can follow @gboniel on Twitter.